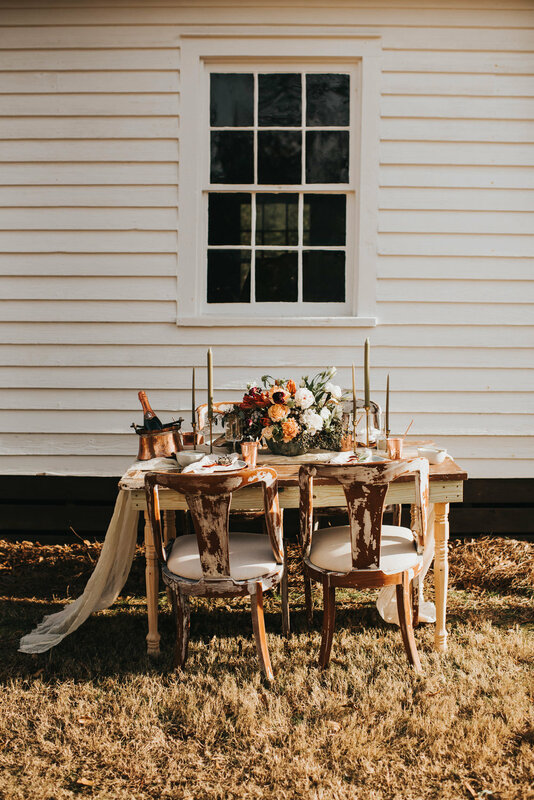 I was able to pull together my first styled shoot back in December and boy oh boy can I tell you how much I empathize with wedding planning now. It was hectic and a lot to plan on top of my post-car accident injuries, but it was 100% worth it and ended up being so much fun!! Elisabeth of EMW Florals was a major help in finding the venue & planning out the aesthetic we wanted to go with. I got to take Nadia to The Sentimentalist to pick out the perfect dress for the shoot and it was just amazing. Nadai & Pierce were married in September (photographed by my friend Kiyah- see that here) and Nadia wore a traditional Indian dress, so just Nadia’s joy getting to try out the different dresses was so delightful to watch. All of the vendors came together to make a completely amazing shoot and I just adore the photos. Plus I got to shoot a little film! You’ll see a few film shots sprinkled throughout the set. Those are shot on a Pentax 645N with Fuji Pro 400h film and developed & scanned by The Find Lab.